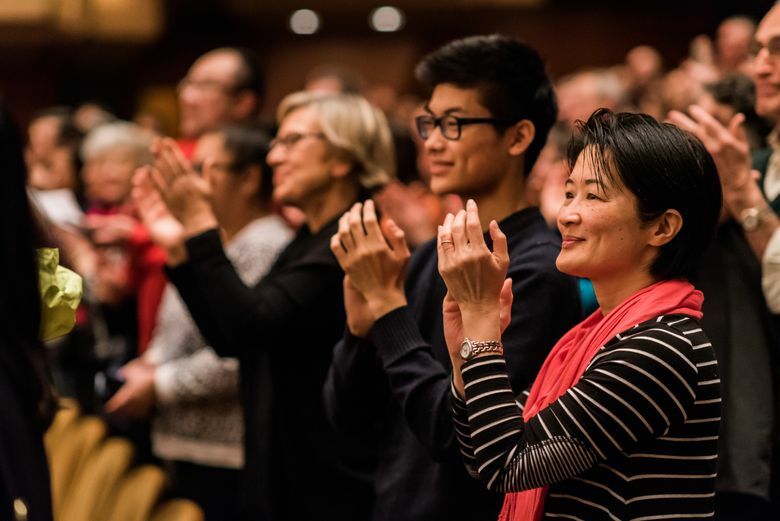 “Music Beyond Borders”: Seattle Symphony hastily arranged a free sonic protest of President Trump’s travel ban — for a packed house at Benaroya Hall Wednesday — with music from Syria, Iraq, Iran and beyond. 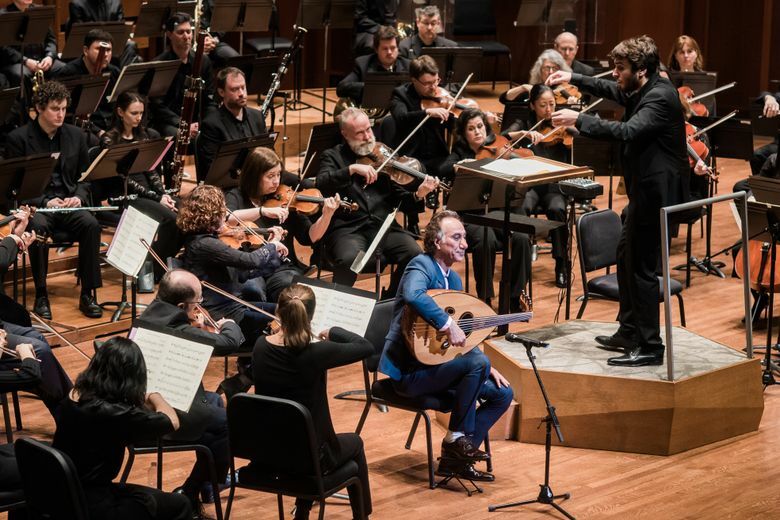 He was speaking just hours before an unusually raucous and emotional night at Benaroya Hall, where Seattle Symphony Orchestra had hastily arranged a free concert Wednesday night (titled “Music Beyond Borders: Voices from the Seven”) in response to President Trump’s travel ban against seven “Muslim-majority” countries, playing music from Iraq, Iran, Syria and Sudan. Seattle’s culture community responded — within four hours, he said, all the tickets had been taken. 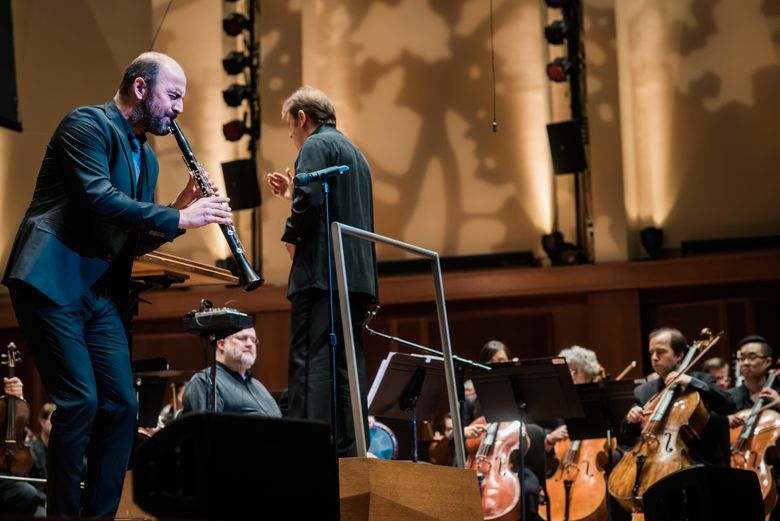 That afternoon, during the symphony’s sound check, the composer Azmeh talked about feeling both welcomed and homesick when he attended his first Thanksgiving dinner in the U.S.